Our robust alloy selection for allows for versatility with our unique offerings. 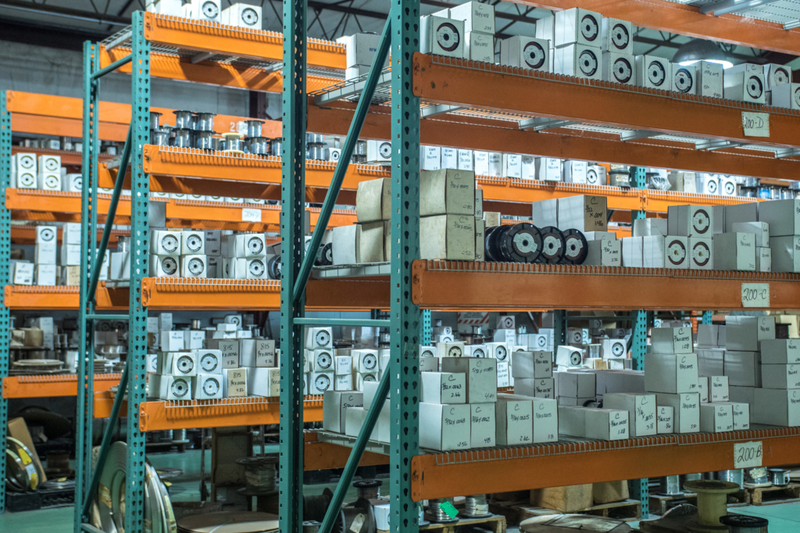 Committed to becoming your valued supplier and providing the highest level of service, our diverse alloy selection ensures that we will meet your specific needs. Our primary business encompasses a full range of resistance alloys in various sizes and forms. 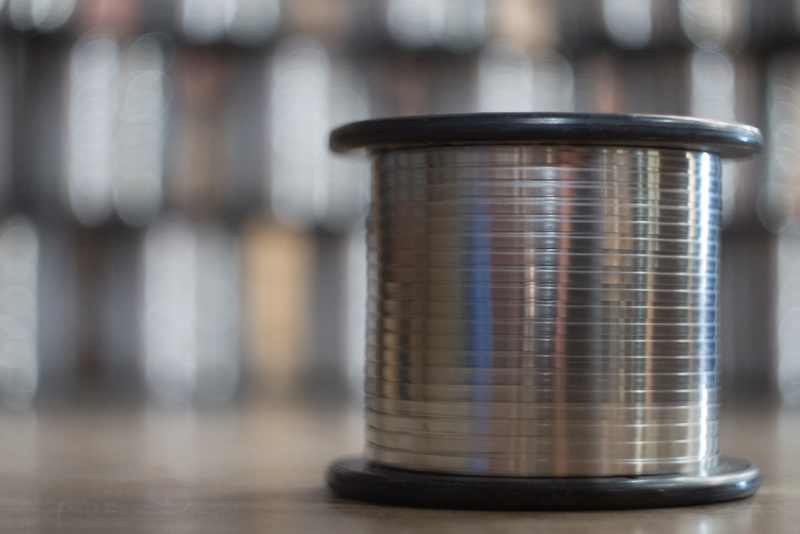 To service the resistance wire market, we look to keep ample stock of resistance alloys to offer low lead times and ship from stock options. With a maximum operating temperature of 2150,F NiCr A has a low temperature coefficient of resistance and little change in resistance over its useful temperature range. Its fast heat-up times and stable operating temperatures assure long, reliable service life. Compatible with MgO refractories, NiCr A is suitable for use in enclosed heating elements particularly those designed to operate at elevated temperatures. Its mechanical stability aids in element design, fabrication, and operating performance. NiCr C has a maximum operating temperature of 1850F. It is a mechanically stable alloy that is easily formed, possesses good hot strength, and known for its durability in heating element applications that require high resistances in limited spaces. NiCr C is also well suited for cold resistors and related current / temperature control devices as it is capable of withstanding overload conditions. With a maximum operating temperature of 1800F, NiCr D is particularly suited for use as heating elements in controlled atmosphere industrial furnaces operating in the range of 1500F – 1800F. Its resistance to sulfur attack and preferential intergranular corrosion “green rot,” make it a preferred alloy to higher nickel alloys under such conditions. Possessing excellent mechanical stability, NiCr D may be readily formed and maintains its shape in service. Having high hot strength, NiCr D exhibits minimal sag or distortion in unsupported applications. NiCr 70/30 has a maximum operating temperature of 2250F. Having excellent resistance to corrosion in air and controlled atmospheres, NiCr 70/30 is also highly resistant to preferential intergranular corrosion (green rot) in the temperature range of 1500F – 1800F. It is not recommended for use in MgO sheathed elements or in nitrogen or carburizing atmospheres. NiCr 70/30 is readily formed and mechanically stable, possessing good ductility and hot strength. Medium to low resistance alloys for use at maximum continuous operating temperatures of up to 1,000F. Copper Nickel Resistance alloys have excellent ductility, are easily formed, have outstanding corrosion resistance, and are readily soldered and welded. 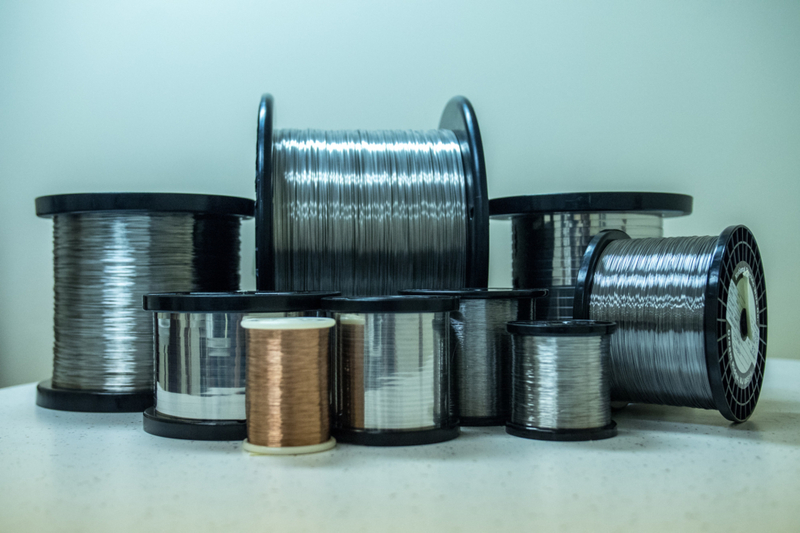 The combination of their resistivity and coefficient of resistance make Copper Nickle alloys suitable for use in precision cold resistors, rheostats, voltage regulators and related electrical control devices as well as in low temperature heating applications. CuNi 294 has a maximum continuous operating temperature of 1,000F. Its minimal change in resistance (less than 0.5% up to 750F) and relatively high resistivity make CuNi 294 particularly suitable for use in precision wound resistors. CuNi 180 has a maximum continuous operating temperature of 750F. It has relatively low resistivity and high temperature coefficient of resistance. CuNi 180 is typically used in heating cables, shuts, temperature sensitive resistors, and compensation devices, fuses and related control applications. CuNi 90 has relatively low resistivity and high temperature coefficient of resistance. CuNi 90 is typically used in heating cables, shuts, temperature sensitive resistors, and compensation devices, fuses and related control applications where continuous operating temperature do not exceed 750F. CuNi 60 is a low resistivity alloy with high temperature coefficient of resistance having a maximum continuous operating temperature of 570F. The alloy is commonly used in low temperature heating applications. CuNi 30 has a maximum continuous operating temperature of 570F. Having low resistivity and high temperature coefficient of resistance, CuNi 30 is typically used in low temperature heating applications. High resistance ferritic alloys with a maximum operating temperature of up to 2,550F. Compared to Nickel Chromium alloys, Iron Chromium Aluminum alloys are higher in resistivity, lower in density, have higher melting points, greater yield strengths, and higher maximum operating temperatures and can sustain higher surface loads. They are inherently less ductile and have lower hot strength than Nickle Chromium alloys. Owing to the formation of a tightly adhering aluminum oxide, Iron Chromium Aluminum alloys provide better resistance to oxidation in carburizing atmospheres than Nickel Chromium alloys. Due to the absence of nickel, Iron Chromium Aluminum alloys also offer greater resistance to Sulphur. They are not recommended for use in reducing atmospheres other than dry hydrogen. Iron Chromium Aluminum alloys are commonly used in high temperature heating, resistance, and related applications. With a maximum operating temperature of 2,550F, FeCrAl 875 is highly resistant to oxidation, distortion, growth, and increase in resistance at elevated continuous operating temperatures. FeCrAl 875 is resistant to Sulphur, and while it may be used in dry hydrogen, FeCrAl 875 is not recommended for use in other reducing atmospheres. FeCrAl 875 is readily formed and is suitable for use in high temperature industrial furnaces, kilns, and other equipment continually operated at high temperatures. FeCrAl 815 has a maximum operating temperature of 2,370F. Compared to similar alloys, FeCrAl 815 has excellent ductility and hot strength as well as exceptional resistance to oxidation at moderate temperatures. The alloy is commonly used in heating elements in electrical furnaces and appliances with continuous operating temperatures up to 2,150F as well as in cold resistor, switching, and related applications. Due to its fabrication characteristics, heavy cross-sections of FeCrAl 815 are suitable for use when considerable forming is required. FeCrAl 750 has a maximum operating temperature of 2,010F and can provide long stable life compared to similar alloys at relatively low temperatures. Compared to similar alloys, FeCrAl 750 has a greater change in resistance from room to operating temperature. As such, less material may be used to produce a given operating temperature. FeCrAl 750 also exhibits good stability over its useful life due to its relatively small change in resistance at operating temperature compared to similar alloys. The alloy is commonly used in lower temperature heating, resistor and related applications. Nickel and Nickel alloys are widely used throughout industry for their electrical properties, corrosion resistance, high temperature oxidation resistance, and high strength and toughness at elevated temperatures. Ni 200 has a max carbon level of 0.15%, low resistivity, high electrical and thermal properties, along with good magnetic properties. It is highly resistant to various reducing chemicals and is especially resistant to caustic alkalis. Ni 200 may be readily formed, welded, brazed, and soldered. It maintains its ductility in at moderately high strengths over a wide range of temperatures but is not recommended for usage above 600F. Ni 201 is a low carbon variation of Ni 200 with a max carbon level of 0.02% max. With its lower carbon level, Ni 201 has a very low work hardening rate, may be readily formed, is suitable for deep drawing, and like Ni200 may be welded, brazed, and soldered. Ni 201 is ductile over a wide range of temperatures and may be considered for use at temperature above 600F. Ni 205 is a modification of Ni 200. Used in applications similar to Ni 200, its higher minimum Ni content and more precisely controlled chemistry is particularly suited for use in electrical and electronic components. NiCu 400 is a Nickel-Copper alloy that possesses high strength and toughness over a wide temperature range including sub-zero, has excellent corrosion resistance in salt water, and is resistant to stress corrosion, cracking, and pitting in most fresh and industrial waters. NiCu 400 has excellent resistance to hydrofluoric acid and is also resistant to sulfuric and hydrochloric acids under reducing conditions. It may be cold formed, machined, and joined using conventional means. Alloy 600 is a NiCrFe alloy resistant to oxidation at high temperatures with good resistance in carburizing and chloride environments. Alloy 600 is suitable for use over a wide range of temperatures from cryogenic to 2,000°F. It is nonmagnetic, has excellent mechanical properties, high strength, and good workability. Alloy 600 may be cold formed, machined, and joined by standard methods. Alloy 625 is a NiCr alloy with additions of molybdenum and niobium. It has excellent resistance to oxidation and corrosion over a wide range of severe conditions, is resistant to intergranular corrosion, exhibits high strength and toughness from cryogenic to temperatures up to 2,000°F, and has exceptional fatigue resistance. Alloy 625 may be formed, machined, and welded using normal industrial practices. 300 Series Austenitic stainless steels (18Cr/8Ni) are the most widely used grade of stainless steel. Not hardenable by thermal means, Austenitic stainless steels are known for their formability and resistance to corrosion. Though non-magnetic in the annealed condition, Austenitic Stainless Steels become slightly magnetic when cold worked. As a family, Austenitic Stainless Steel Alloys resist scaling up to 1,600°F but are generally susceptible to intergranular corrosion in the temperature range of 800°F to 1,650°F. Variations of the basic 18Cr/8Ni chemistry are designed to enhance forming and welding characteristics as well as to improve resistance to corrosion, high temperature oxidation resistance, and strength. 304 Stainless Steel Grade 304 is the standard 18/8 (18Cr/8 Ni) austenitic stainless steel. It is a non-magnetic alloy in the annealed condition but becomes magnetic as it is cold worked. It is the most commonly used of all stainless grades. 304 stainless can be easily formed due to its high ductility. Stainless 304L, a low carbon version of 304, offers improved weldability due to its lower carbon content. With higher carbon than Stainless 304, 302 Stainless is capable of attaining high strengths and ductility when cold worked. It is not hardenable by heat treatment. 305 Stainless, having a higher Ni content that 304 Stainless, may be particularly suitable for use in severe cold forming operations. With the addition of molybdenum, 316 Stainless has improved resistance to corrosion from various acids, chloride pitting, and increased strength at elevated temperatures compared to 304 Stainless. Stainless 316L, a low carbon version of 316, offers improved weldability due to its lower carbon content. 347 Stainless contains columbium and tantalum. The addition prevents the precipitation of chromium carbides making the 321 Stainless suitable for parts to be used in the as welded condition or at temperature in the range or 800°F – 1,600 °F. Containing higher levels of nickel & the addition of Silicon, 330 Stainless is a high strength, heat and corrosion resistant alloy that is resistant to carburization, oxidation, and thermal shock up to about 2,100 °F. Type 330 stainless remains fully austenitic at all temperatures and is not subject to embrittlement in its useful temperature range.